These days, many of us are looking for convenient, easy meal ideas, but we want to make sure they’re as healthy as possible. Rita Carey Rubin, Registered Dietician, Diabetes Educator and host of Yavapai Regional Medical Center’s Your Healthy Kitchen, says that wraps can be some of the best choices around. But, she says, you have to be careful about which wraps you choose. Tortillas are the most well-known wraps, especially here in the Southwest, but now there are lots of additional, and often healthier, options. Rita suggests looking for the word “whole” when reading the label, as in “whole wheat” or “whole spelt” which means that the entire grain is used, boosting the nutritional and fiber content. This is particularly beneficial to those who are diabetic, as whole grains tend to raise blood sugar less than refined grains. Spread the inside of the wrap with a sauce, such as tzatziki (made with yogurt, garlic and cucumber), hummus, tapenade or pesto, which will give the wrap some moisture. Next, add your choice of protein, such as chicken, turkey, fish or grilled tofu. Finally, top it with some veggies, such as diced red peppers, onion and greens. Roll it up and you’re ready to enjoy a tasty, nutritious wrap! Your Healthy Kitchen is one of the many ways that Yavapai Regional Medical Center, your not-for-profit healthcare provider, delivers health education and support to the citizens of Yavapai County. 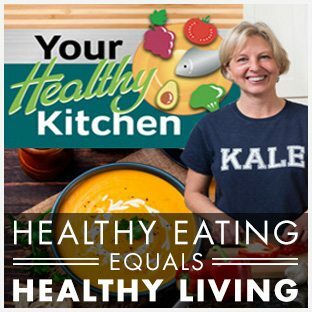 You can also follow Rita on Facebook at YRMC’s Your Healthy Kitchen. I read this article and found it very interesting, thought it might be something for you. The article is called That’s a Wrap! and is located at https://yrmchealthconnect.org/thats-a-wrap/.